Here's a step-by-step tutorial on how to make Emoji charms two different ways. Enjoy! Surprisingly, these Emoji charms are very easy to make. You don't have to be a pro at making clay charms in order to make these. 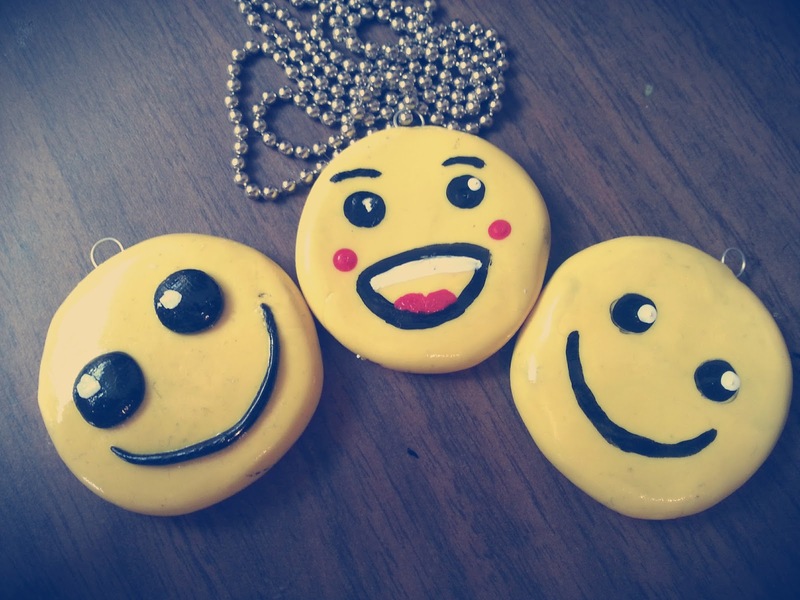 The first way to make these Emoji charms are to use clay for all of the details. As in; the eyes and mouth. The less details the Emoji has, the easy it will be. For the second way, use the paint to paint on the faces of the Emoji. This method is good to use if the Emoji has a lot of details. Also, the charm doesn't have to be yellow. You can even use the dancing lady, the ice cream. or the hands. However, those will require more practice and patients.